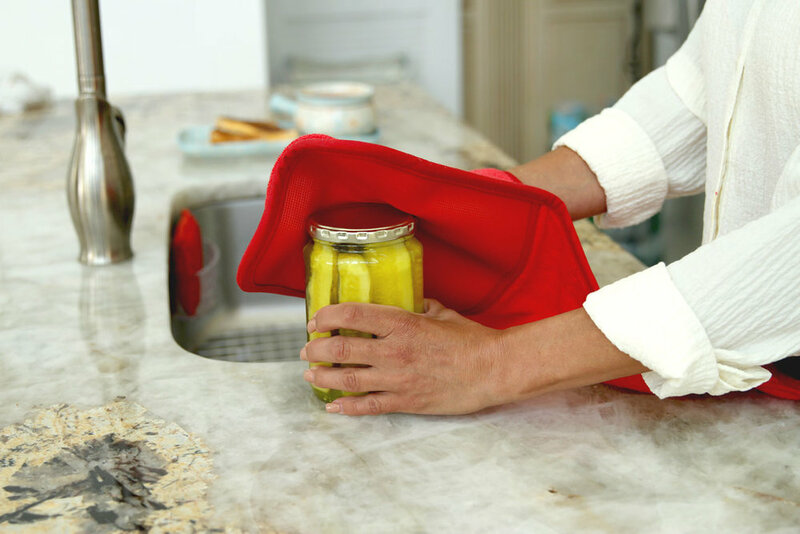 Your CookingBuddy® is a terry cloth prep towel, dual pot holder, tool caddy, lid gripper and trivet all-in-one! The CookingBuddy® is one of the most versatile tools in your kitchen. Created by Both Chris and Joe Campanelli, the CookingBuddy® is designed to hang over your shoulder while prepping your food and cooking so that your towel and pot holders are never out of reach. The restaurant style silicone inserts on each end protect against temperatures of up to 500 degrees Fahrenheit and provide extra grip to ensure that pots, pans, casserole dishes, or any cooking vessel doesn’t slip out of your hands. Folded using both of the polymer inserts the CookingBuddy® doubles as a trivet for a cookie sheet, large casserole dish, roasting pan, etc.. You can even use the polymer inserts to help you open jars and bottles! 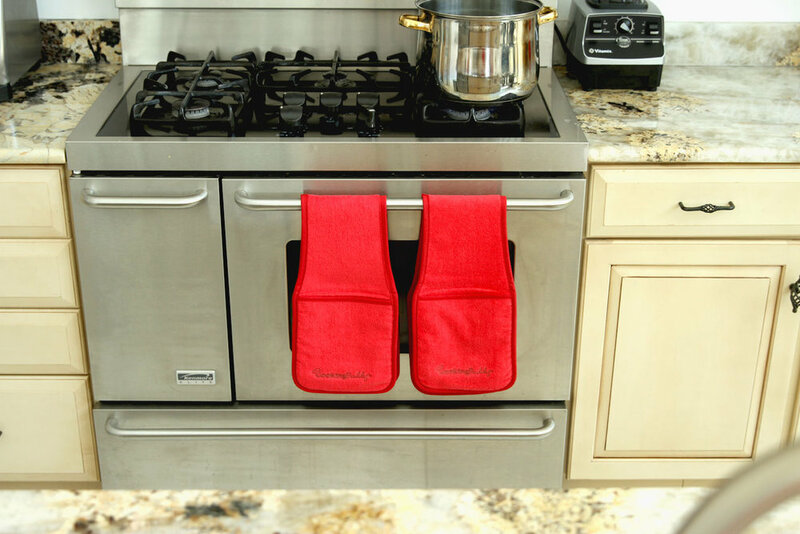 • HEAT RESISTANT / NON-SLIP GRIPS allow you to hold hot cooking, baking, & grilling utensils, tools, dishes, pots, & pans. 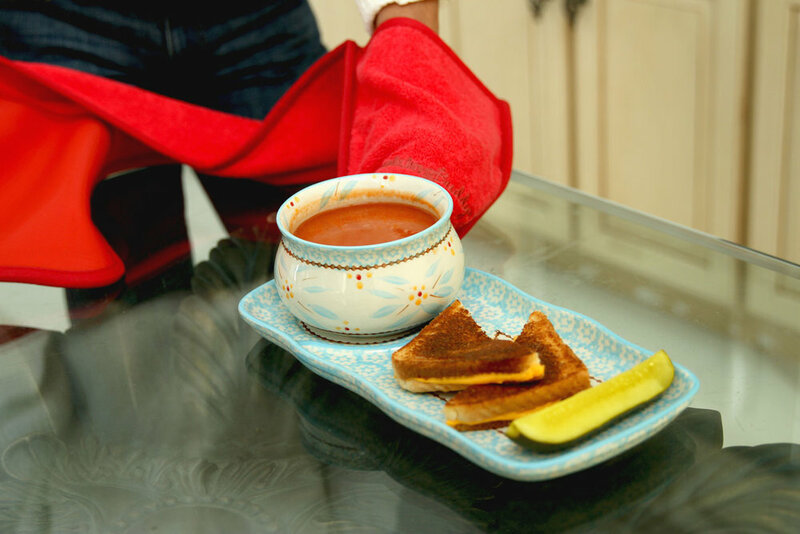 • PROFESSIONAL GRADE Terry Cloth with restaurant style silicone inserts which are heat-resistant up to 500ºF. • CONVENIENT. Hangs over your shoulder so it's always within reach for grabbing hot items or being used as a prep towel. • MACHINE WASHABLE. 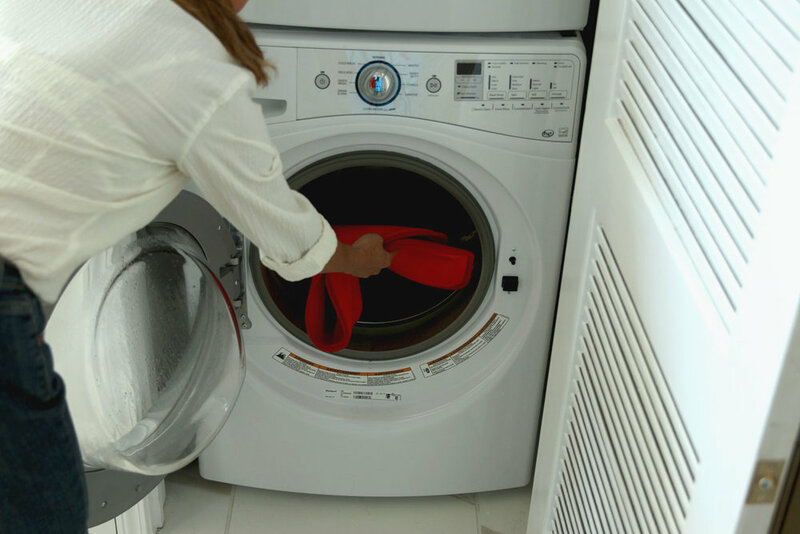 Dryer safe or air dry. Hang over oven door handle when washed so it's easily within your reach.